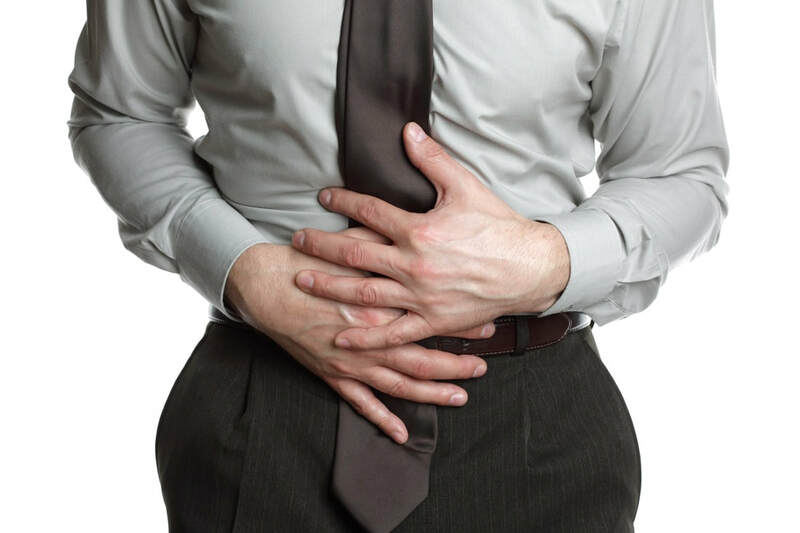 What Health Problems Accompany Coeliac Disease? Birth defects, such as neural tube defects (improper formation of the spine) caused by poor absorption of such nutrients as folic acid. Cancer of the intestine (very rare). If your doctor suspects you have coeliac disease, he or she will perform a careful physical exam and will discuss your medical history with you. He or she may also perform a blood test to measure for higher levels of certain types of antibodies (substances produced by the immune system to fight harmful invaders) found in people with coeliac disease. Your doctor may perform other tests to detect nutritional deficiencies, such as a blood test to detect iron levels; a low level of iron (which can cause anemia) can occur with coeliac disease. A stool sample may be tested to detect fat in the stool, since celiac disease prevents fat from being absorbed from food. Your doctor may take a biopsy from the small intestine to check for damage to the villi. To perform a biopsy, the doctor inserts an endoscope (a thin, hollow tube) through your mouth and into the small intestine under mild sedation and takes a sample of the small intestine with an instrument to examine under a microscope. If you have coeliac disease, you can't eat any foods that contain gluten (including wheat, rye, barley, and oats). Dropping gluten from your diet usually improves the condition within a few days and eventually ends the symptoms of the disease. 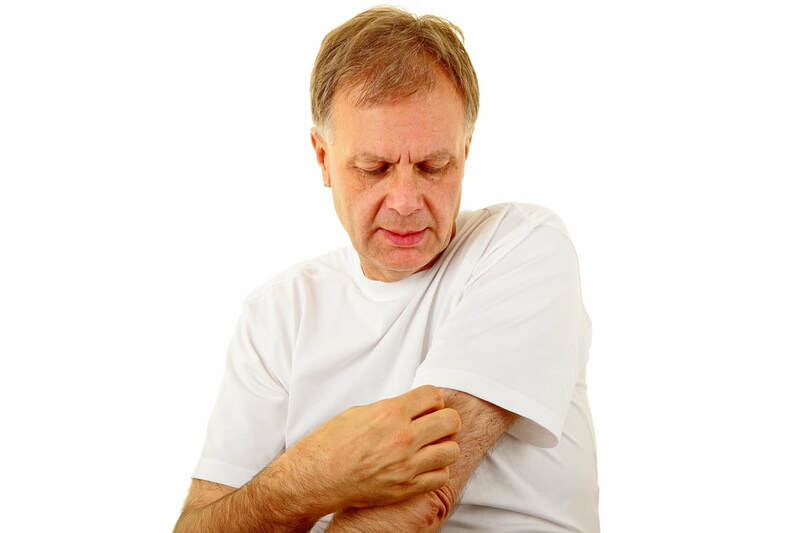 In most cases, the villi are healed within six months. You'll have to remain on this diet for the rest of your life; eating any gluten at all can damage the intestine and restart the problem. 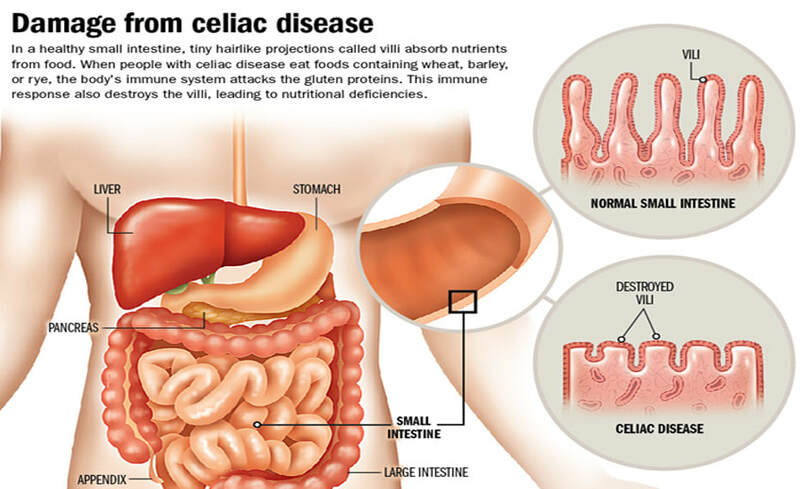 Some people with coeliac disease have so much damage to their intestines that a gluten-free diet will not help them. These patients may have to receive nutritional supplements through an IV. A gluten-free diet will be a big change in your life. You have to rethink your eating habits, including what you buy for lunch, what you eat at parties, or what you snack on. Following a gluten-free diet means you cannot eat many dietary "staples," including pasta, cereals, and many processed foods that contain grains. 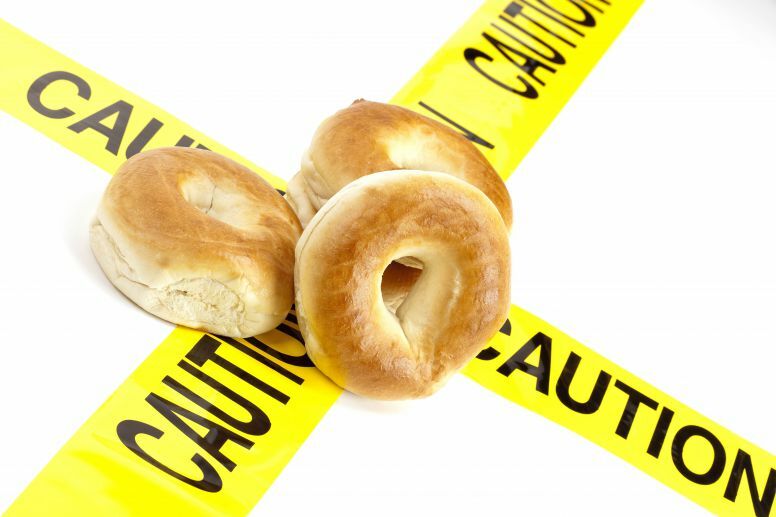 You will need to be careful when eating packaged foods, as they may contain gluten. Always read the ingredients of packaged foods and when eating in restaurants, ask about the ingredients of a dish before ordering. But, just because you have coeliac disease, it doesn't mean you can't enjoy a well-balanced diet. For instance, bread and pasta made from other types of flour (potato, rice, corn, or soy) are available. Food companies and some grocery stores also carry gluten-free bread and products. You can also eat fresh foods that have not been artificially processed, such as fruits, vegetables, meats and fish, since these do not contain gluten. A dietitian, a health care professional who specializes in food and nutrition, can help you with the gluten-free diet. There are also support groups that can help people with coeliac disease make the adjustment.